Collaboration lies at the heart of One ASEAN One Response solidarity. Beyond a slogan, such solidarity asserts that every individual can contribute in the development of a collective resilience towards natural disaster. 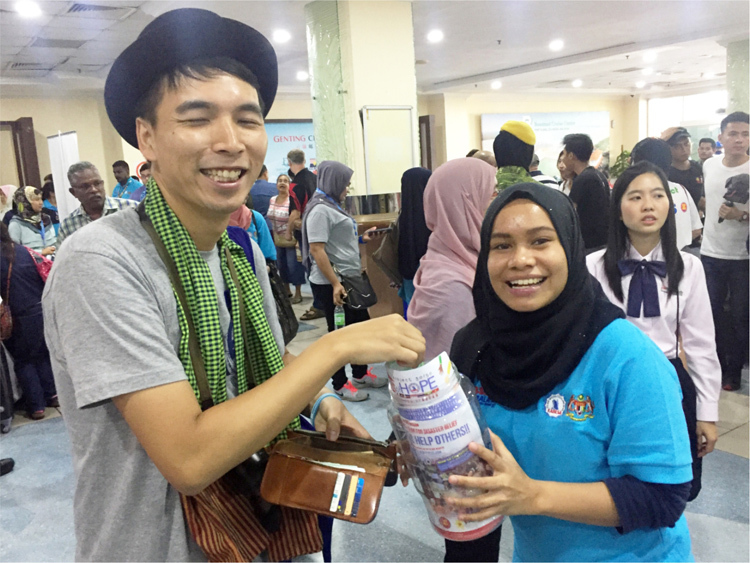 Alumnae of the Ship for Southeast Asian and Japanese Youth Programme (SSEAYP) in Malaysia demonstrated a similar spirit earlier this year, through a fundraising drive to support emergency response efforts in the region. 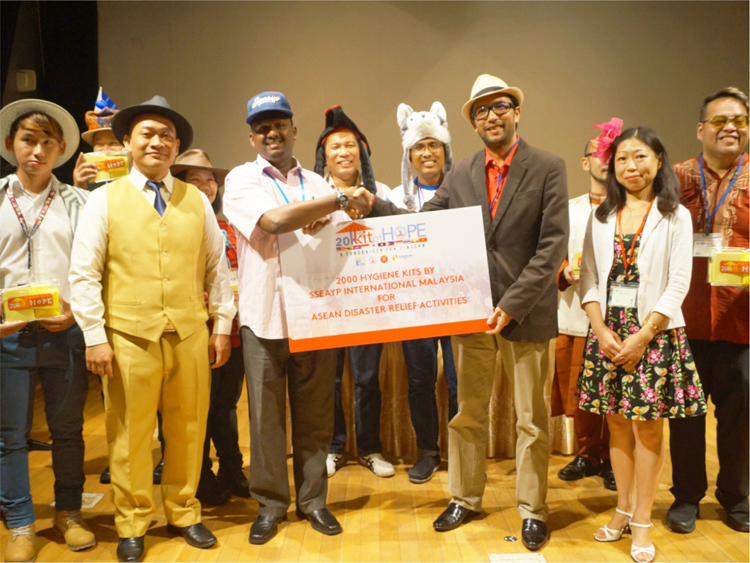 In late 2017, the SSEAYP Malaysia Chapter ran an independent crowdfunding campaign to celebrate the 50th anniversary of ASEAN, as well as the 45th year of cooperation between Japan and the ASEAN region. The campaign successfully secured funding to provide 10 thousand hygiene kits for the ASEAN standby relief stockpile – warehoused in Subang, Malaysia. Each hygiene kit comprises of sanitised wet wipes, shampoo, soap, face towel, toothbrush, sanitary pads, and a plastic comb. Not only did they fund the procurement of the relief items, members of SSEAYP International Malaysia also volunteered to pack the donations – that were handed over to the AHA Centre on March 5th, 2018. “This is a good example of ASEAN solidarity where students raised money and contributed relief items in the spirit of One ASEAN One Response. It is an inclusive platform so everyone is welcome to join and contribute,” said Ms. Adelina Kamal, Executive Director of the AHA Centre. SSEAYP was launched in 1974 by the Government of Japan to promote cross-cultural understandings between youth of all ASEAN Member States and Japan. The annual exchange programme allows participants to get to know each other through a two-month voyage on the Nippon Maru vessel. “It was a great relief to see corporations, government agencies and ministries to also chip into the crowd-funding campaign. We had also received individual contribution from students and visitors of the Open Ship of SSEAYP in December 2017. But biggest applause is to the SSEAYP International members attending the Reunion on Board dinner, of which part of the tickets sold were routed to this effort,” said Dyana Abas, the Deputy President of SSEAYP International Malaysia, who was also the 20K Kit of Hope Program Chairperson.